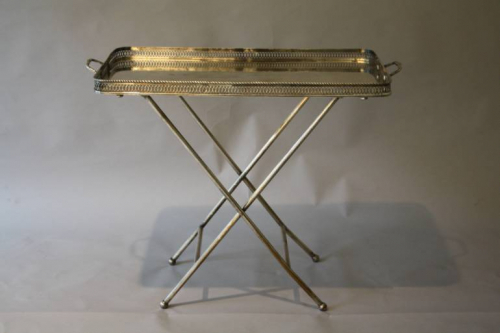 A versitile and useful silver plated tray table with pierced gallery detail and small bun feet. The base folds neatly away. French c1910.